The Macabelel River Lodge is a beautiful stone lodge located on the riverbank of the higher Klip River in the Steenkampsberg.<br /><br />Privately located on a 520 hectare private nature reserve, with 3 km of river frontage, guests will be swept away by the Macabelel Lodge&apos;s exclusivity and tranquil surroundings.<br /><br />Up to 11 guests are accommodated in five bedrooms, and three bathrooms. The lodge has electricity and is powered by a generator, the kitchen is fully equipped for self-catering and the large lounge provides a comfortable retreat. Outside amid the acres of space and uninterrupted solitude, the braai area is the ideal spot to host many memorable evenings. There is also a garage for your car.<br /><br />Approximately 3 km away from the main farm, the Macabelel Lodge is the ideal illustration of large family accommodation, with hours of fishing and exploring to look forward to, without the hassle of traffic and buzz of city life. "The lodge is beautiful and comfortable but to get there is a nightmare. Eight kms of off road requiring 4x4 capability and traction control especially in the wet. The lodge is perfect for relaxation with no electricity (gas only), no TV or cell phone reception. Several dams in the area but nearest dam is 4 kms away. Friendly host and fast response to address problems." "Peace and quiet, away from the city"
"Incredible views, peaceful, excellent stay!" "It was an amazing and restful experience. There are beautiful hiking areas. I will go back any day and every day!We also met with the owner who showed us around a bit, lovely and kind gentleman. The water from the stream is so clean you can easily see 2m deep, and drink from the water it is ice cold and delicious." "We stayed at the Macabelel Lodge for 3 nights. It was absolutely amazing. Secluded (4km from the farm house) and private. The owners were very kind and accommodating. I would give this place 6 stars if I could. What an amazing weekend. Thank you O&apos;grady&apos;s. We will definitely be back!" "I fully enjoyed the weekend there. The facilities are nice and open and the fire place a definite winner.The owners are friendly and when I experienced battery issues they went well out of their way to go buy a new one for me on a Saturday afternoon and helped sorting out the problems the Sunday morning. I have never experienced this kind of helpfulness and are very thankful. The roads to the place are a challenge, but no 4x4 driving skill&apos;s are required only a higher clearance vehicle. It will still take you 40 minutes to Dullstroom from the house.No power and working with the generator is irritating and when I could not get the thing going the Saturday, we stayed without power. A solar power back up system does keep the lights on at night, but there is no plugs in the house. No cell phone reception at all.If you want a still weekend, then this will work for you." "This is a lovely, clean and well appointed place, great for larger groups. 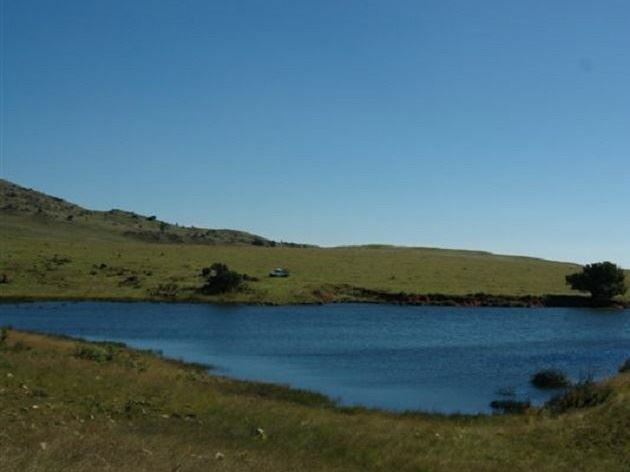 It&apos;s perfectly located - remote and private but still close enough to wander in to Dullstroom town for a lunch or dinner.We love off the grid. Only comment is that a bit of extra petrol for the generator , and possibly a torch, would be handy.Will return!" "A real great break away from cellphones and tvs. Just silence and the stars. 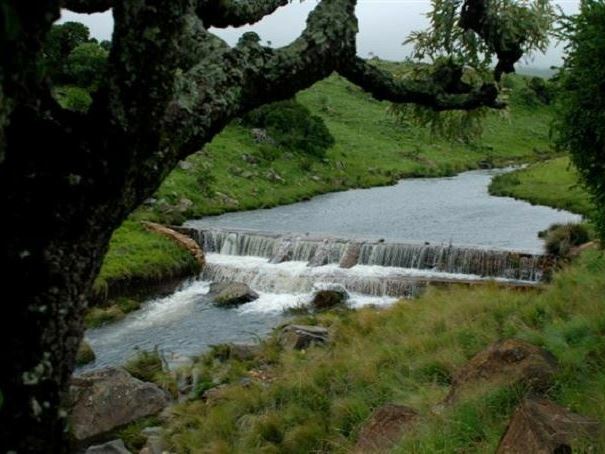 Restoration for the soul"
"Having stayed at many establishments in and around Dullstroom and Tonteldoos over the years, I have to say that Macabelel Lodge has topped the list so far for my wife and I. 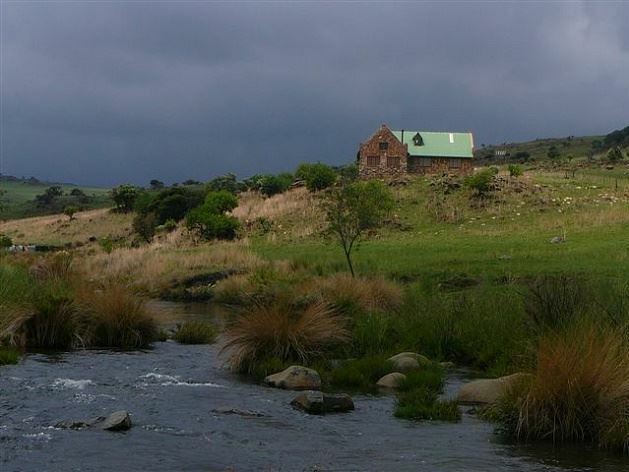 The Lodge&apos;s setting is situated in the most beautiful valley next to the river overlooking the mountains and a gorge. The Lodge itself is well equipped and very comfortable.The beds and linen were clean and comfortable.Unlike many of the other places we have visited, the water pressure in the showers is strong and the gas geysers work properly, It also has a beautiful bath. To us, the house was altogether stunning, the design has windows right around from the kitchen to the sitting area so you have an incredible view of the river and mountains from every angle inside the lodge. Its is very spacious and can sleep a large party or even two families(5 bedrooms). There is a fridge and a chest freezer that worked properly and all utensils you will need are there. It is powered by gas and a generator which added to the rustic feel for us. When we made our booking we were slightly apprehensive because we had read a review that said the roads were shocking and that the location was very remote etc. We found this to be exactly why we loved the place!! The roads are not shocking and do not require a 4x4, they are exciting to drive in a high clearance vehicle(we went in a normal Ford Ranger) and the remoteness is exactly what we from Johannesburg were looking for as a proper getaway. It is private and secluded, peaceful and tranquil. I think if you want to be pampered and indulged, you are better off going to a luxury spa!! This is a farm and a beautiful one. We saw Jackal, Mountain Reedbuck, Warthog and a variety of bird life including some beautiful eagles. 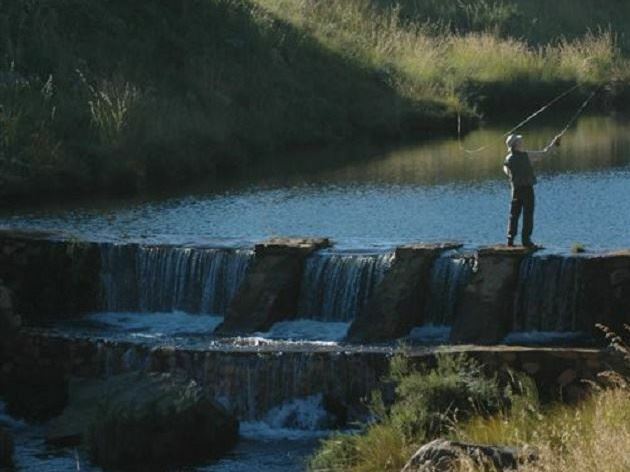 Then lastly, the fly fishing was GREAT :) The many dams of which i fished 3 are well stocked and beautiful. I caught 12 trout in pristine condition in 2 days, even with my limited skill. Thank you to our host Bernard O&apos;Grady for your friendliness & hospitality, my wife & I and our 2 dogs had a memorable time, we will definitely be back to visit your beautiful farm." "Peaceful, remote, ideal quiet getaway! 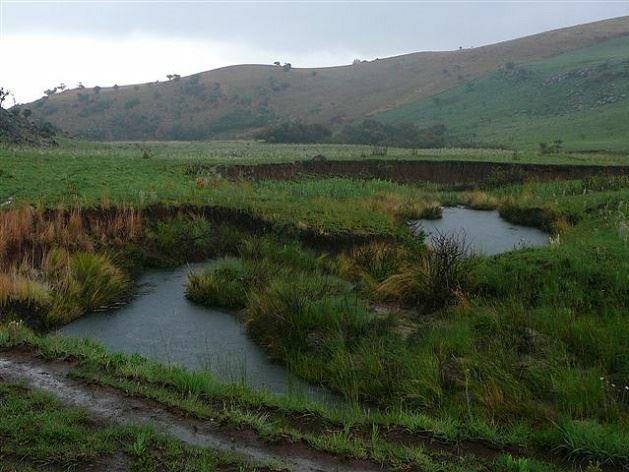 Beautiful views of a dam, stream and rolling green hills!Basic but everything you need. No cellphone connection at the lodge you have to go just up the hill.We experienced plumbing problems- leaky bathroom.The landlord was very helpful and friendly.Only accessible with a 4x4.We will definitely go again!" "Our family had a splendid weekend at Macabelel! The lodge is well equipped and spacious. We enjoyed the fireplace on Saturday when it was a bit chilly. The kids enjoyed the freedom and had lots of fun. We even enjoyed the road to the lodge, testing our vehicles&apos; "high clearance" abilities. You will definitely see us again."